When you think of great tools and devices to have around the house, typically the first thing that comes to mind are power drills, sanders, and others, but the Multimeter doesn’t get as much attention. A multimeter has become for me one of the top required home DIY items that you must have. So, what is it? A multimeter at first glance will look like it’s written in a foreign language with all sorts of symbols and buttons on it but don’t let that intimidate you. A multimeter is an electronic device that is used by electricians and DIY homeowners to test items for voltage, temperature, amps, and resistance in different items like outlets, batteries, metal objects, and electrical wires. Why would you need one of these? If you’re living in a small apartment or don’t own a car then you probably will not find many uses for one of these. If you’re a homeowner and you have your own car (which the majority of us do) then you should definitely have one of these. If you’re just starting out, some of these terms may be foreign to you, but we will discuss more of these in detail when we review each of the multimeters below which will help you decide which is best for you. When we were selecting the best multimeters for 2018, we had a fun time trying them out and determining which functionalities are the most important. The hard time about comparing each multimeter against the other is that each multimeter can often be specific to a type of multimeter. No multimeter can do every measurement as the devices simply have limitations on how many different measurements you can get on one small hand-held device. When we selected some of the top functionalities to compare these were the ones which we found consistently across many of the multimeters that we felt were important to the every-day user. These are the top 10 best multimeters of 2018 and some of the key highlights of each (Check multimeter comparison table below). After reviewing many of the top leading multimeters on the market today we have gathered the details from the 10 which we feel are the best of the best for 2018. Whether you’re a DIY homeowner or an electrician, there’s a perfect multimeter for you in our list. For those homeowners looking for a cheaper version multimeter with most of the needed functionality, the Klein MM400 is a great choice. Designed by electricians it was made to be simple to use and understand and comes with a solid/durable build making it long-lasting. While primarily used for electricians, it can also measure temperatures making it a great resource for heating/cooling (HVAC) uses. It is great at testing continuity, power sockets, batteries, and much more and comes with an auto-ranging ability so you don’t have to deal with manually setting the device. The MM400 is a small device that is made compact and easy to use for anyone just starting off with using multimeters for the first time. Its made to withstand years of use and has a rubber casing that is made to absorb small drops or bumps while being used. The display on the MM400 is quite easy to read and comes with a backlit display for darker locations. Along with the good display, this device has great functionality too including the Min/Max button which will show you the high and low values of each measurement along with a hold functionality to keep the data present if you aren’t able to write it down at that time. Auto-ranging capability on this device is great for those of us who don’t know how to manually set a multimeters capability. This is great for the new-users to multimeters or those who want a quick and easy to use device. Since this multimeter is under $50, it’s not normal for it to have temperature measuring capabilities which is why it’s important to give mention to the fact that this product comes with a thermocouple. Simply attach the thermocouple, touch it to the object you want to measure the temperature of and it will produce the temperature for you. This is one of the cheapest multimeters on the market today but still has some great features for at home DIY type people. With its great auto-ranging ability it’s a good first timer multimeter to do the basic tasks perfectly. It has basic DC and AC voltage measurement abilities and has both continuity and resistance checking functionality built in. From the studies done on this multimeter, it has shown to be a very accurate and precise multimeter considering the cost. I also found that the auto-ranging ability was quite fast compared to other multimeters in the Innova brand. The 3320 by Innova is easy to use and lightweight. While it doesn’t have the durability of the other Innova or Fluke designs, we still felt it was built well and would last a few years if taken care of properly. We felt this multimeter was the perfect resource for starters and DIY car owners due to its affordable price. The battery tester is one of the best functionalities that stand out on this device from the others. Simply test the voltage of a battery and the Innova 3320 will tell you how strong the battery is by showing you a green, yellow, or red light. If it’s red it’s time to replace the battery. If no colors show then it means the battery is dead. The display of the 3320 is great with very large/clear print making it easy to see, however, it does not have a backlight so it makes it difficult to see in low-light areas. This device has an auto-shutoff capability to ensure you don’t waste the battery if you forget to turn it off. It also has a built-in kick-stand making it easy to stand up on a nearby surface. Looking for the best multimeters can often be taxing and confusing as there are so many brands and models to choose from. The first thing to determine is what you need it for and then start to limit the results. If you are looking for an affordable multimeter for your home automotive uses, or for technicians on the road then the Innova 3340 is a great choice. While this device shouldn’t replace your high-quality professional one for any automotive repair shop, it can be used for most quick checks. Many of these checks include testing for voltage/amps, temperatures, continuity, and many car checks including engine tests, alternators, and car battery checks. High safety precautions built in for reverse polarity to reduce electrical shocks. Thermocouple included for measuring temperature great for HVAC uses. Great features built in including data hold, min/max, and auto-ranging which is useful for both new and experienced multimeter users. This product comes with all the necessary accessories for testing different automotive needs which is why it’s no surprise that it ranks one of the highest suggested devices year after year in the field. Included with this is a clamp which is great for snapping it on your car hood or other areas of the car for easy visibility and access. It also comes with a thermometer probe which makes it perfect for testing many of the liquids under the hood of your car. This also is an added safety bonus for you to keep you from touching different liquids which may be too warm to touch. The 3340 by Innova is also an auto-ranging multimeter which is great for on-the-go work as it automatically does the calculations for you. This also makes it great for new users who may not be experts on multimeter calculations. Unfortunately, this product does not allow for manual ranging which may not be as desired for those looking to do specific manual tests. This multimeter is a great all-around multimeter with many different features including a thermocouple lead to allow you to test temperatures. Overall, we felt it had a good display with a nice backlight and we liked the fact that it only required AA batteries. This is a perfect device if you’re testing old fuses, checking if a wire/circuit has electricity, testing the temperature of an object, and many other testing capabilities. This product comes with a built-in flashlight which can be a decent trade-off in some areas with poor lighting along with a big backlit screen making it perfect for any lighting condition. It can also measure temperatures which are perfect for HVAC working in heating and cooling situations. Also, if you’re unsure if an object is warm or not to prevent burning. The Fluke 87-V is one of the top-of-mind picks for those electricians who tend to get involved in Automotive and HVAC on a daily basis. Its broad range in voltage measuring means it can measure more of the hard-to-read items like current, frequency, voltage and of the most important – temperature. With its thermocouple included, you can measure almost anything including liquids. This multimeter is by far one of the most versatile in the multimeter family, but it definitely doesn’t come without a steep cost. As always from the Fluke brand you can rely on getting a durable piece of equipment with a great screen resolution/display. This product can be used by anyone on the market, but I don’t necessarily suggest it for beginners as it has quite a few advanced features that can be confusing. This is a reliable piece of equipment that comes with so many great features. Whether you’re an experienced electrician or one who’s looking to get into the automotive or HVAC line of business, then this product is great for you. I definitely suggest this as one of the best designed and sturdy pieces of equipment on the market. The Fluke 88V is by far one of the best on the market today for both standard automotive and hybrid alike. While the price is a bit steep, there is no doubt that this multimeter has the competition beat in terms of functionality and durability. What makes this device so great is that it not only can it do the standard conventional measurements, but it can do many more advanced ones including RPM, peak min/max, low pass filter, and pulse width measurements. All this without sacrificing quality and accuracy. The Fluke 88 V is a great tool for all automotive uses with its broad range of voltage, current, continuity, frequency, and conductance measuring functionalities One great part about this specific model is the speed of measurements which will save you time waiting for measurements to complete. This device was designed for mechanics work environment in mind with it’s built-in the magnetic hanger to allow you to simply place the multimeter in an easy to see a place on the vehicle. As well it’s a large digit display with multi-level backlighting makes it easy to see even under low light areas. It has a built-in thermometer which helps you do not have to carry an extra tool along making this multimeter a great addition to your toolkit. For those looking for the durability of the Fluke brand but don’t want to pay the normal high prices for it, the Fluke 115 may be the answer. With a much more affordable price, it still has all of the same great features built in. This is a highly recommended device for car owners and those working in the automotive industry. Very easy to use interface for even the beginner users. A bright backlight that is easy to read even at a distance and in low-light. Quite affordable in comparison to the other models/products on the market. Made with high-quality materials in a hard-casing to reduce long-term wear and tear. Display backlight often goes out too fast and we would prefer the timer to be extended to keep the backlight on longer. The device lacks weight to feel stable and while this isn’t a big detractor, many prefer the stability of a heavier device. The True RMS capability built in ensures accurate and precise measurements even when conditions are not perfect by calculating the equivalent DC value of an AC wave. Multimeters without this ability can often have inaccurate and false readings. The Fluke 115 also has a built-in auto-ranging capability which makes it great for fast and accurate measurements without the need for setting manual adjustments. Fluke 115 devices come with a built-in power-off mode which is great for those like me who often forget to turn off the device after use. After 15 minutes of inactivity, the device will automatically go into a shut-off mode. This is not only a great way to save the battery, but also to save money. This device has a large 6000 count LCD backlit screen which is great to see at any angle and even in dark conditions. The display of this unit is one of the best I have seen. The Data Hold function of this model is a great functionality to have. Essentially if you want to ensure the data stays in the device simply press the “Hold” button and the device will store the current measurement until you conduct a new one. Many users enjoy this function as it saves you the time of having to write down measurements on paper. The 116 is the best device on the market for those electricians dealing with heating and cooling on a daily basis. 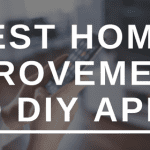 While this device has many great features for those DIY technicians around the house, the price doesn’t necessarily make sense for those not using it on a daily basis. The versatility of this multimeter is what makes it stand out from the competition. It can measure everything from AC/DC voltage, frequency, temperature, and current. It’s both precise and accurate with it’s true RMS measurement capability in the ever trusted and durable design that all Fluke devices have. The 116 has an auto-LED backlight and is optimum in all environment whether low light or bright light. This is optimum when working in darker spaces or at angels as the 166 doesn’t lose much contrast. The text is also in a large font which is great for when it is a considerable length away from you. This multimeter was built to be able to test temperatures of objects and liquids which makes it a perfect companion for HVAC who use this for heating and air conditioning tests. It comes with a probe which is useful for touching specific objects/liquids. As a warning, ensure none of the liquids are corrosive so you don’t jeopardize the probe. With the Fluke 116 having true RMS, it makes it perfect for those workers who need a precise and accurate reading. For all true RMS devices, it ensures your readings will be accurate even under unfavorable conditions. Many multimeters on the market lack this currently, but most HVAC multimeters this will come standard. Most all Fluke devices are well designed, but the 116 is made for optimum one-hand usage which is great when your other hand is holding a probe or object. It also has the handy built-in hold function to keep the data handy in case you don’t have anything to write down the measurements on at that time. When you’re looking for the best multimeter in terms of versatility, this is the one. With the built-in true RMS capability, you don’t have to worry if your measurements are accurate making this great for professional use. The 117 has a bright LED screen with a nice backlight making it easy to see in low-light conditions. This device is also built to last for many years with some of the best materials so you don’t have to worry about it breaking down on the job. It is also one of the best multimeter with non-contact voltage detection making sure you remain safe at all times. Non-contact voltage detection keeps you safe. The Fluke 117 is unique compared to most on the market due to the non-contact voltage detection functionality as it helps to keep the user safe. When you are unsure if there is voltage on an object and want to check, simply hover the multimeter over the object and wait for it to beep. If it does, it means the object has a voltage present on it. The display on this device also is big and bright and while it doesn’t automatically detect low-light, with the switch of a button the backlight turns right on. It also has an auto shut-off mode which is perfect to ensure you save your battery and money after 15 minutes of no activity it will turn off. The 177 also has true RMS which is a highly needed ability for accurate and precise readings. It can read most all situation, no matter the conditions, with a 0.5% accuracy. While this is quite standard, it is still worthwhile to mention. Out of all the multimeters in our list, the Fluke 179 is by far one of the most accurate devices on the market. It does come with a bit of a steep price tag, but with all of the added functionality and measurement capabilities, it’s well worth it for professional electricians. Whether you’re in a perfect environment or one with many different electrical components running simultaneously, this device will still give you perfect measurements. The 179 model is a really great device to have for those electricians working in a professional environment or for home/car owners who tend to use a multimeter on a daily/weekly basis. It is a highly accurate device with the True RMS capability ensuring that even in “noisy” electrical situations it will still produce perfect results. The reason this product is one of the best on the market is the fact that it can measure almost anything including AC/DC voltage, current, resistance, frequency, temperature, capacitance, continuity, diodes, and more. Simply said, this is one of those devices with so many capabilities making it one of the best multimeter you’ll ever need. The 179 is also made with many safety and protection precautions built in. It is built to withstand very large power surges including those from lightning and large motors without it coming back to explode the multimeter device. This makes it very safe for you in even unsafe conditions. What Are The 4 Different Types of Digital Multimeters? There are many different types of meters that can measure different objects, devices, wires, and circuits. If it’s dealing with electrical measurements, typically you’ll need a multimeter to accomplish this. The best multimeters are designed to be able to measure the voltage and amps of a specific object without harming the user. If you’re looking to be able to take electrical measurements or to measure continuity, you’ll need a multimeter but which one will you get? Here in this guide, we’ll review the 4 most common types of multimeters on the market that you may see and why you would use them. When you start your search for the best multimeter and start understanding the different types and brands, the first thing you’ll see a lot of us the Fluke Brand. They are extremely well known in the multimeter industry and are top of the line when it comes to quality and precision. If you want a multimeter you can trust to get the job done right every time, go for Fluke. They typically come with an increased price tag, but they will be worth it in the long run. The first and most important multimeter to understand is the digital multimeter. This is the most common type of multimeter that you’ll see around most homes and garages. A digital multimeter is most commonly used to measure voltage and resistance in your home, office, or vehicle. This is done by using two probes black/red one which is the lead and one being the grounding probe. Each measurement setup and a process is very different but typically follows the same process. Make sure to review and understand each process for measurement prior to completing it so you don’t damage the multimeter or get injured. No matter what level of expertise you are with using a multimeter, the digital multimeter is easy to use and learning the basics can be quick by review a few YouTube videos. If you’re not sure which brand to go with when selecting a digital multimeter, go with Fluke. Some of my favorite are the Fluke 116 and Fluke 117 devices. While most multimeters are similar, there is a key difference between a digital multimeter and a clamp multimeter (Or just clamp meter). A clamp multimeter is used to measure current in a wire while the digital multimeter primarily measures voltage. The great thing about the recent developments in technology, both of these multimeters has so many overlapping measurement capabilities that it can be hard to determine which one you should get. The key difference between the two really is the clamp which is either a part of the multimeter or a separate attachment. The functionality of the clamp is to measure the current flowing through a specific wire. To use a clamp meter, it’s much different than a standard multimeter which has 2 probes. Instead, you’ll open the hinges of the circular clamp and put the wire inside it and close the clamp around the wires. The multimeter will then measure the flow that is pulsing through the clamp to determine the amps running through it. If you’re looking for great clamp meters, Fluke also has some really great models including the Fluke 323. You can also go with a more affordable meter like the Amprobe 210 which has most of the same measurements but is not branded with the Fluke name but still performs similarly. While in the past most multimeters whether it be a digital or clamp multimeter relied on the user understanding each measurement and how to adjust the range of it to appropriately understand it. But a new functionality built into many multimeters is the auto-ranging functionality. These types of multimeters are great because they typically allow you to either use manual mode or auto-ranging mode. When in the auto-ranging mode you typically don’t have to adjust the measurements or change the dial when you’re completing your measurements. It will adjust as necessary to output the results for you. On top of just auto-ranging, it’s important to understand some other features which can be found on different multimeters these days. The True RMS technology which almost all Fluke devices have is one of the best as it ensures that no matter what measurement you’re making if there is external electrical interference, it will still provide proper measurements to you. This is important especially if you plan to use the multimeter for professional use. Some important functionality you should look for when purchasing one is the auto shut-off functionality which saves you on battery life. You will also find the hold and min/max functionality useful for saving measurements and finding out the highest and lowest range when you completed the measurement. Now let’s go back in time and understand the oldest form of multimeters and that’s the analog multimeter. While analog multimeters are still sold in stores today, we do not suggest purchasing analog multimeters as they are more difficult to get accurate measurements and tend to get uncalibrated easily. An analog multimeter doesn’t have a digital screen but rather a measurement range with a bar that moves to show the range of the current. You can think of this similar to a weighing scale at home. In the past, most of them when you stepped on had a circular disk that moved to show how much you weigh, but now they all have a digital screen which is more effective and accurate. While it’s important that you know these exist when you’re making a purchase, we still suggest to go with a multimeter with a digital screen that has the more advanced technology. If you’re still stuck with what multimeter to get, read further on each of our guides for the best digital multimeters and clamp multimeters to help you decide more. What to Consider Before Buying a Multimeter? If you’re ready to buy your multimeter, there are a few key things to think about before you take that next step. The first thing to consider is the cost. There is a large range ($20 to $500) in terms of cost for multimeters. Sometimes the cost can be warranted as the device has many great features and capabilities, however, many times the cost does not justify the device. If you’re a DIY home owner or car owner, there should be no need to spend more than $50 on a multimeter. If you are a professional, you’ll definitely want to consider the brand and price as a good sign to the accuracy and functionality of the device. The next thing to consider is what features you need in a multimeter. Do you need it for testing switches, power sources, batteries, motors, components, wires, etc? You also want to know if the different built-in capabilities like auto-ranging, data hold, backlight, min/max, and other functions are important. While to many these are important, some others may not need them. If you want to measure temperatures for heating and cooling, then make sure the device comes with a thermometer probe. This helps when working with objects which may get too warm due to electricity flow. If you’re working with computers, you may want to make sure the multimeter can measure in ohms and that you are able to select a larger range of voltages. If you get stuck, a very trustworthy way to see which device is best for you is to determine what you’ll use it for and then find the closest devices that match it and read as many of the reviews online about it before you buy it. While there are two different types of multimeters, analog and digital, it is quite rare to see analog multimeters any longer. An analog multimeter is one that has a needle that will show the current flow of energy running through the multimeter by traveling through a coil meter. Inside the multimeter based on the measurement selected it will have certain resistors which allow the device to determine the AC or DC current/voltage. With a digital multimeter, different circuits are used to test the sample of current being sent to the device. It is then displayed on the screen of the device quickly for the user to see. In general, analog multimeters are more inaccurate and difficult to use and read. If you are looking to purchase a multimeter, we do not suggest to get an analog multimeter any longer. Even the cheapest multimeters on the market these days are more accurate that the more expensive analog ones. If you’ve just got your multimeter and you’re ready to use it, there are a few quick tips on getting it setup and ready to use. The first thing is to ensure you have working batteries in the device. Depending on your device, you will need to open the battery compartment and enter either 9V, AA, or AAA batteries into the device. Once the batteries are in, the next step is to input the leads into the device. It will come in both black and red leads. Simply plug the black lead into the one that says COM and the red one into the one for Volts (labeled with V). You may need to change the red one for different measurements but the black one always remains constant. Plugging these in won’t hurt you to start but it’s best to only ever touch the colored rubber part of the leads and never touch the metal parts if you want to avoid getting shocked (which can be dangerous). The next step in using the multimeter will be to determine what you’re looking to test. This is where the user manual and using different YouTube tutorials will come in great. While there are many great multimeters on the market, there are two that come top of mind for electronics technicians, and it’s no surprise that they are both the Fluke brand. The Fluke 179 is one of the best for everyday use in industrial troubleshooting. It can read up to 1,000 Volts and can measure resistance, frequency, temperature, and both AC/DC current and voltage. It also has true RMS reading capability. The Fluke 115 is as well one of the best in the market for both electronics and field service applications. It can read up to 600 volts and can measure both AC/DC current and voltage as well as measuring resistance and frequency. All Fluke branded devices are made to withstand heavy use and although they are on the more expensive side, they are definitely built to last and provide you with the most accurate readings. For those DIY type who want to be able to measure basic electrical devices and objects, there is no reason to spend outrageous amounts of money on the expensive Fluke brands. In this case, I have one recommendation for an all-around the best multimeter for hobbyists. The Innova 3320 is by far my favorite for an affordable multimeter to use around the house. It has a built-in auto-ranging capability making it easy to use. It also has an easy to see display with large print as well as a nice rubber casing making it perfect for those of us who are clumsy and knock it around or drop it. When we look at selecting the best multimeter we always take into consideration the capabilities, price, durability, and features. One of the most important features of a multimeter is the auto-ranging functionality. If your device doesn’t have auto-ranging then it should only be sold to advance users who understand all aspects of electricity and know how every measurement works. Auto-ranging is perfect for almost all uses so this is a very important capability. Other great functionalities are the hold and min/max functionalities. The hold is perfect for keeping data present when you may not be able to write it down. The min/max keeps both the lowest and highest measurement you took during a specific reading. I personally feel that the auto-shutoff capability is very important as well when selecting a multimeter as it has saved my battery (and cost) hundreds of times. The display is as well a huge consideration when we select the best multimeter as some multimeters are difficult to read and require you to be in the perfect lighting situation. That is why a large, clear, easy to read screen is very important as well as it having a backlight to ensure you can see the readings even in a low-light situation. From here, each multimeter starts to become drastically different from cost to measurement features including capacitance, resistance, voltage, temperature and much more. Cost may not be important to some people but to others, it’s very important. There are a few things to know when seeing the cost of a multimeter. If you are a hobbyist and just want a simple multimeter to test basic DIY home tasks, select one of the great multimeters that don’t have a high cost. You can typically get one for around $20-30 USD and it will be able to do many of the tasks you need with accuracy and last quite a long time as well. If you are a professional, there are still some decent options that won’t break the bank for around $100-150 USD. If cost isn’t an option, then my best recommendation for you is to go with only the Fluke branded multimeters. These will always be higher in cost but you are guaranteed to have a great device with accurate readings and output. Digital multimeters present measurements in a direct format that does not require any manual calculating of the exact value. They are also free from the errors of analog meters as they have no moving parts and don’t wear down due to shock and movement issues. This does not mean that a multimeter can become inaccurate over time. To ensure your multimeter is accurate, it is suggested to have it calibrated at least once a year. Calibration of a multimeter can be done manually by reading the user guide, however, if your multimeter is used for professional use it is suggested to contact an expert to have your multimeter calibrated. Using a multimeter is quite simple to do, however, there are some things you need to pay close attention to in order to protect yourself and the multimeter alike. 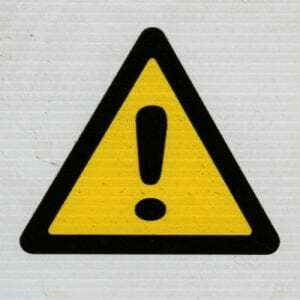 The first safety precaution is to always watch for signs of damage to the device. If you see cracks, leaks, or any other damage to the device this could put you at risk of shock as the built-in shock protection may no longer be working properly. Along with the device itself from being damaged, one of the more important parts of the multimeter is the probes used to test objects. If they become damaged in any way (cracking, breaking, etc) they should be removed and replaced before using the multimeter again. Additionally, if they no longer fit into the ports, they should be replaced. Another safety reminder is that you should always assume any object you are testing which “might” be connected to an electrical source is probably live. Meaning it has electricity flowing through it and you should never touch it before testing it with your multimeter. This will help you to avoid getting shocked which can often be life threatening. As a last safety reminder, water and electricity never mix well so if ever you are working in a situation that liquids are present, make sure to always wear your safety gear including gloves, head ware, and other protective gear to keep you safe. There are many accessories made for your multimeter which will either give you added ease of use or organize the multimeter parts for you. My personal favorite accessory for my multimeter is a carrying case. While many multimeters don’t come with a carrying case, I find it to be very helpful to keep all of the cords collected and to keep it from getting too much dust and dirt on it keeping it clean and lasting long. There are also many different types of probes which can be used with your multimeter for testing surfaces and temperatures. While it is not required to have extra probes, it may be useful to have this if you are working in a professional environment in case one breaks you won’t have to wait to continue the job until you buy new probes. Some probes are also much longer than others which can be very useful if you are trying to reach hard to get areas under a car or inside a large engine. Clamps are also very useful to attach your multimeter to a specific object while you move the probes to a different area. When you’re looking at basic multimeters they typically measure AD/DC Voltage, current, resistance, continuity, and diodes. When you start looking at advance multimeter features these typically include measurements like capacitance, frequency, temperature, and pressure. When you start shopping for the best multimeter you want to consider what functions and measurements you want not only present but also possibly in the future. For some advanced features which may only show up in more high-end multimeters include graphical display on-screen for identifying irregularity. You may also see a data-log to monitor and store data over a longer period of time. Overall, there are many amazing multimeters on the market currently and finding the best one can often be difficult. It’s important to always remember to consider the cost and the measurement features as the primary importance when starting your selection process. Once you know what you need it for and your cost range, you can start to limit the number of multimeters to choose from. As a general rule, if you want one of the best multimeter brands, go for the Fluke branded ones. If you’re a new multimeter user, make sure it always has auto-ranging capabilities. And not all multimeters measure temperature, so if that is a requirement make sure it includes a thermometer. 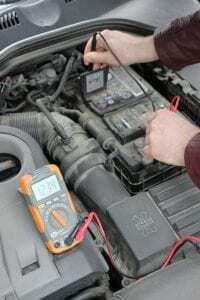 Keep learning more about the use of a multimeter as they can often be a huge cost saving device eliminating the need for you to pay extra money for professionals to do simple tests on your home and car. Saving you time, and money.